With the New Year heading our way fast, many people and companies are considering some changes. Whether it be around the office or your study at home, people are aiming for simplicity and convenience with a streamlined workflow to save time, money and hopefully the world. Most offices rely on the internet, computers and all the related equipment. Generally speaking office workers spend the bulk of their time behind their desk working on their computer, clacking away on their keyboards. And considering that most of our work is done digitally in the 21st century, it makes sense to avoid clumsy reams of paper and ink blots. In an attempt to reduce their eco-footprint, in light of the many environmental issues the planet faces, many companies and even individuals, are attempting to reduce the amount of paper used throughout the office and home, as well as the inks, toners and maintenance that go with printing, copying and faxing. This is why so many people are turning to fax to email solutions, for business and individuals alike. 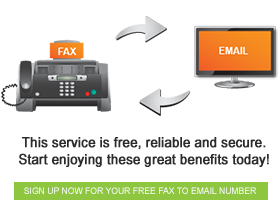 FaxFX is your one stop solution for fax to email and email to fax, for corporate entities, individuals and even mobile solutions, making your life easier. By eliminating the need for extra pages and machines, FaxFX gives you the ultimate digital solution to reduce and even eliminate the need for fax machines and all the paraphernalia that goes with them.